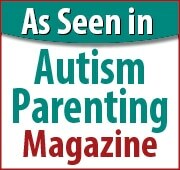 Can Chiropractic Care Help Autism Symptoms? We all know about chiropractic care for a bad back but what about for a child with autism? A recently published study in the Annals of Vertebral Subluxation Research, focused on a three year old child recently diagnosed with autism. The child suffered from delayed motor, cognitive, and speech skills and also suffered from frequent headaches, vomiting, and insomnia. During the study, the child received subluxation-based specific chiropractic care to assess the benefits, if any, the treatment would supply. After one month of treatment, the child appeared to have reduced headaches, vomiting, and insomnia. Her autism-related issues also appeared to improve, including her eye contact, attitude, and language development. Spinal adjustments are often used on other parts of the body and are often known for treating common illness such as headaches and allergies. Chiropractors call certain misalignments vertebral subluxations, which result in problems with the spine and nervous system. Autism symptoms are intimately involved in the reaction of the nervous system and some autism researchers believe that the nerve damage could lead to neuroendocrine events that exacerbate autism symptoms. Although much more research needs to be done concerning chiropractic alignment and autism, a multi-disciplinary approach to treating your child’s symptoms is encouraged. Working together with your primary care physician, chiropractors, occupational therapists, and other health care providers will often provide the best overall support for your child.